Well this post was long overdue- but better late than never, right? Then came the Pebble Time. It took a while for me to get my hands on one, and I was fortunate to have my good friend Clark Valberg, CEO of InVision App give me one. This was shortly after I already became comfortable with the Apple Watch. Nonetheless- what a beauty! 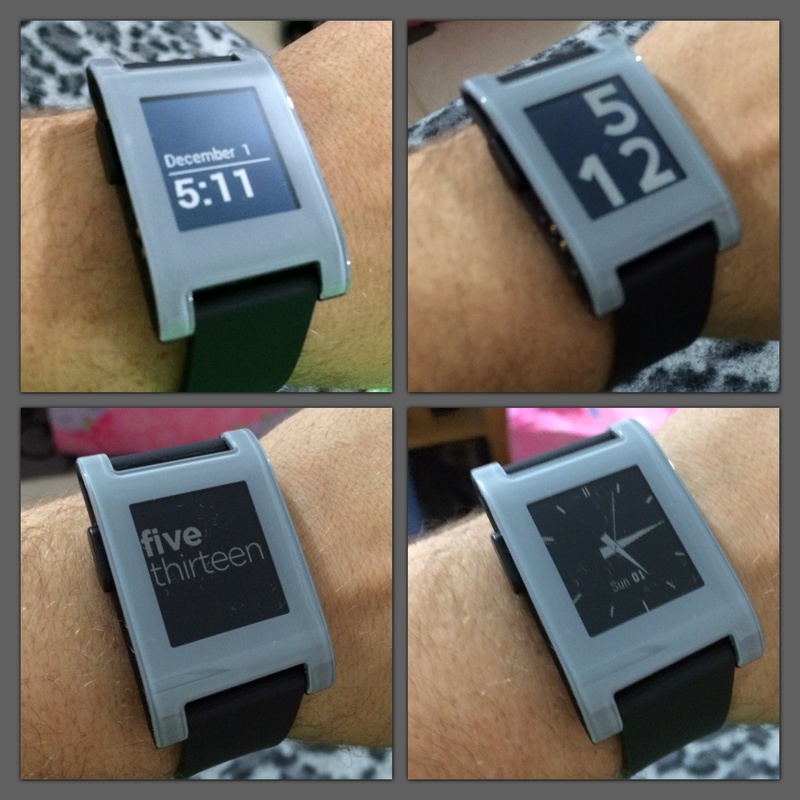 That was when I knew that I had to share my thoughts on the two Pebble watches. Okay, it’s obviously not fair to compare the two because Pebble Time clearly trumps its predecessor. This is more about the evolution of Pebble smart watches from Classic to Time. For starters, the design of the Pebble Time is just wow. The matte metallic rim looks so much more sleek and modern compared to the plastic thing that Pebble Classic has going on. Now don’t get me wrong, I love the look of the Classic also. The Classic is just a little too retro-looking for my taste, but does contribute towards the geeky factor. The Pebble Time is also considerably smaller than the Pebble Classic, and also less bulky. That helps when you’re wearing long sleeves. The display of the Pebble Time is a bit smaller than that of the Classic, and is also set a little lower than the bezel of the Classic. But you know what? That’s okay. It’s works well with the overall look. Now things get interesting when it comes to the battle of the backlight between the two. The backlight is actually stronger on the Classic than it is on the Time. I thought I was crazy at first when I noticed it, but it’s true. At least the Time offers a color screen, right? Eh. When you’re in a dark room, and you turn on the backlight of the Time- the colors aren’t really all that vibrant. 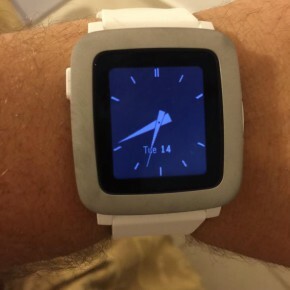 The Time ends up looking like a slightly dimmer and smaller Pebble Classic. Not complaining, just saying. For arguments sake, that does make it easier on the eyes. Colors generally work out better for watches that don’t have an e-paper display. The wristband is very easy to remove on the Pebble Time. The silicone is thinner than that of the Classic, so that’s nice in terms of weight on the wrist. That obviously won’t lessen the sweat that will accumulate underneath, but it’s cool. Both the Pebble Classic and Pebble Time are water-resistant. That means you can’t go swimming with them on, but you can wear them in the shower, and that will be perfectly okay. The Time is an upgrade in many aspects. I remember missing A TON of notifications on my Pebble Classic, and I frequently had to turn bluetooth off and on. There were times that I also had to completely re-pair the devices from scratch. No, it wasn’t a big deal to spend two minutes to do so. But it did get annoying when it happened multiple times a day, on stressful days. This is something I never had to face with the Time. The connection is always good, and I never miss a notification. Since the introduction of the Time, I guess young developers started going crazy to create apps for it. There are lots of apps available that are optimized for the Time. Many of these apps are far from perfect, even the developers (in some cases) admit in the descriptions that the app is just an experiment, or to please go easy on them because they’re young. But yes, there are plenty of apps to choose from in all categories, most of which are understandably limited in terms of their feature set. 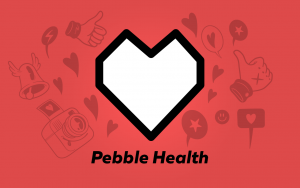 Pebble Health is Pebbles version of Apple Health. In fact, it syncs with Apple Health. I don’t religiously follow any fitness routine to personally care about these things, but this update got me curious. After syncing the Time with Apple Heath (which I opened for the first time just for this experiment) I carried on as usual. After a few days passed, it was nice to see that Pebble kept track of steps I have taken. It wasn’t pressuring me to take more or less steps- it was simply showing me my personal average. I liked that. No intimidation. It also kept track of my sleeping habits during the course of the week, and again- showed me my personal average. I liked the fact that Pebble figured when I went to sleep from my pulse alone. There was no effort required on my part in terms of manually inputting when I felt I was about to go to sleep. Unfortunately, Pebble Health isn’t available for Pebble Classic or Steel. Only Time, Time Steel, and Time Round. All hope is not lost for people holding onto their Classics- because they can still enjoy fitness tracking apps such as Jawbone and Misfit. Owners of Classics will soon be able to enjoy a timeline feature that the Pebble team is currently working on. 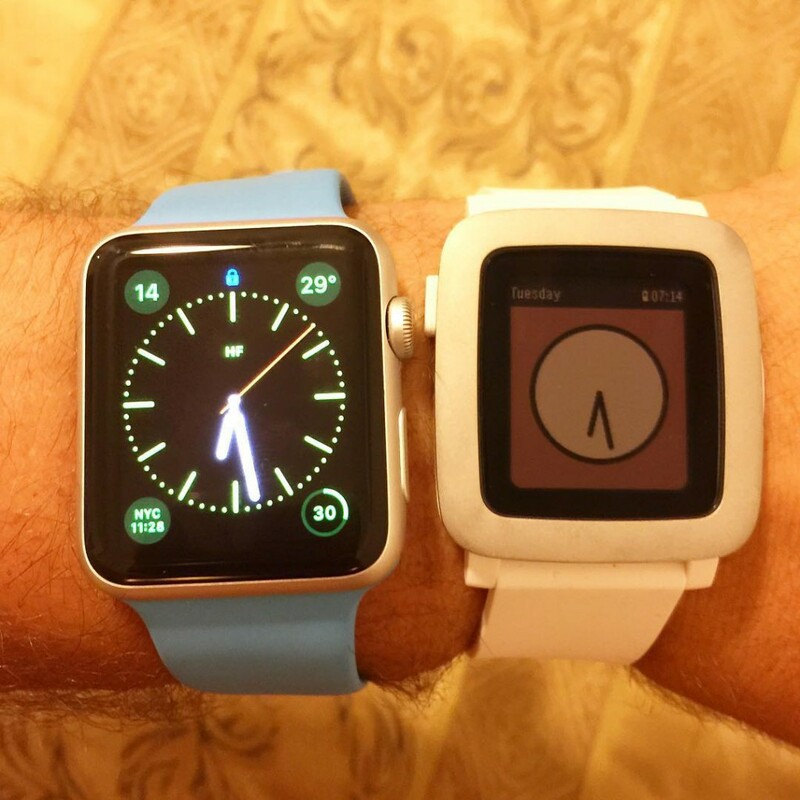 Here’s my take on everything you need to know about Apple Watch vs. Pebble Time.